Hydra island - and especially Hydra town - is one of the major highlights of a yacht charter or sailing holiday in the Saronic and Argolic Gulf. Although the island lacks real forests of trees it is very charming and has a very authentic feel since motorized vehicles are forbidden: the main transportation unit is a donkey. Hydra used to be a mondain sea side resort and attracted a selection of poets, film stars, and the rich upperclass of the western world. Nowadays most of this glamour is gone, but the port of Hydra is still very appealing with its beautiful mansions stacked on the surrounding hills. During the main sailing season the port can become very busy, but there are lovely anchorages nearby, notably at the south west of the island and behind Nisos Soupia which is north of Hydra island. Naturally, Hydra is included in all the itineraries or sailing routes in the Saronic and Argolic Gulfs. 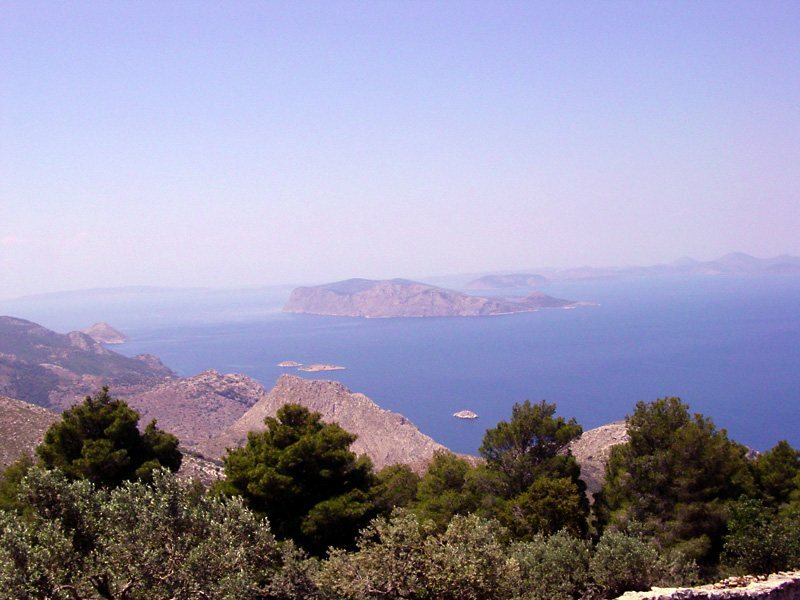 The image above: Looking from the famous 15th c. Monastery of Profitis Ilias toward Dhokos island.